Just because a player has a great month, does not mean he will be a great signing. Throughout football history as the World Cup has grown in prestige, club sides have watched potential signings with excitement and players have used the tournament as a 'shop window'. The English Premier League, since it's inception in 1992, has established itself as one of the richest leagues on the planet and with this flow of riches the league has made strides to gobble up as much young talent that falls under its radar as possible. In this rush to sign the hot up and coming stars from the World Cup, clubs sometimes forgo their scouting network and make some monumental blunders. My Newcastle United supporting colleague here at FootyFair won't thank me for bringing up the misfiring Frenchman. It's been said that France won the World Cup in 1998 without a striker, yet it was Guivarc'h who led the line in France's 3-0 win over the favoured Brazilians in the Final that year. The fact that he looked rather hopeless to some watching eyes didn't correspond with French coach Aime Jacquet's assessment of him being "an excellent pivot". 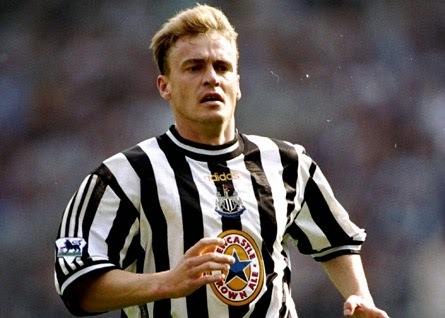 Newcastle manager Kenny Daglish certainly liked what he saw and splashed out £3.5m to Auxerre to bring Guivarc'h to St. James' Park. The fact that Guivarc'h hadn't scored a single goal during France's campaign, despite playing in front of the most talented midfield in football at that time should have sounded a warning bell. Despite scoring on his debut against Liverpool, the French striker only played four matches in total for the Toon and never really fit in. After Kenny Daglish was sacked in the early days of that 1998/1999 season, new manager Ruud Gullit quickly shipped Guivarc'h to Rangers. Although he was hailed by Luiz Felipe Scolari as being the main driving force behind Brazil's triumph in the 2002 World Cup, you could argue that Joe Blow who turns out for the Fox and Crabcakes in the Over 50 Co-Ed Beer League would look a world beater if he played behind Ronaldo, Rivaldo, and Ronaldinho, with Gilberto Silva alongside him. Immediately after the World Cup, Leeds United who were in the middle of their reaching for the stars phase when they recklessly spent money like a drunken sailor, tried to buy him from Atletico Paranaense. Unable to marry his girlfriend until she turned 16 though, Kleberson opted to stay in Brazil for one more season. I think I'm going to leave that one alone and just move on to the fact that Manchester United got their man for £6.5m the next summer to replace the departing Juan Sebastian Veron. Kleberson never really adjusted to the pace of English Football, was injured in his second game, and only made 20 appearances over two seasons while scoring 2 goals before he was allowed to leave. 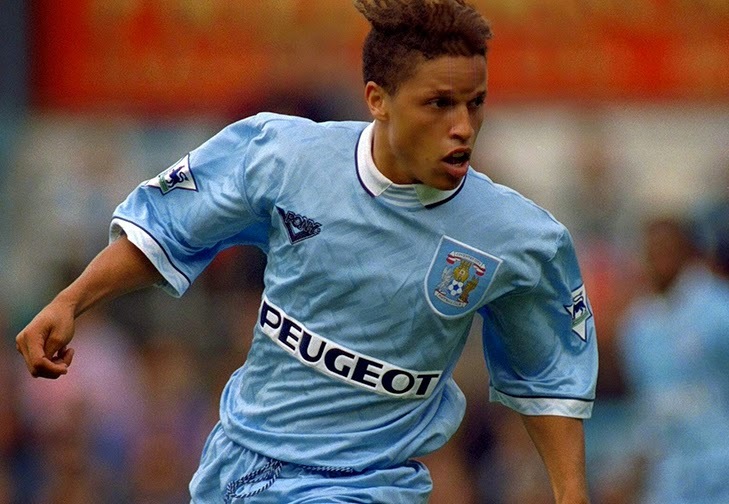 I hesitated in adding Cobi Jones to this list, as he did a lot to help raise the profile of the MLS here in North America and after running into him in Hoboken, New Jersey a few years back, I can confirm that he's a very nice guy. But needless to say that after a great World Cup for the United States in 1994, where he helped lead his side to an appearance in the Round of 16, he attracted the attention of several clubs in Europe. Coventry City, then in the Premiership, signed the dread locked striker in the hope that he could form a good partnership with Dion Dublin. Unfortunately, Jones had never played for a professional side before as this came before the days of the MLS and he never got used to the pace or physicality of the English top flight. He scored only 2 goals in 24 appearances and was allowed to leave at the end of the season. The move had perhaps come too soon in his career, as he later went on to great things with the LA Galaxy and the US National Team. Another player who would later go on to great things in the MLS, Jaime Moreno helped his native Bolivia qualify for the World Cup in 1994 and although they didn't make it out of a very tough group, the young striker had looked impressive. Middlesborough, who were in the early days of a renaissance, signed Moreno from Independiente Santa Fe in the hopes that they had unearthed a gem. Unfortunately, he never gained the trust of manager Bryan Robson and was typically used off of the bench. In a little over a season and a half, Moreno made 20 appearances and only scored 1 goal. Moreno eventually found his way to DC United and became one of the biggest stars in that teams history. Senegal, the surprise package of the 2002 World Cup after they turned over reigning World Champions France and went all the way to the Quarter Finals, were led by the electric El-Hadji Diouf. Liverpool looked like they had a gem on their hands after signing him for £10m from Lens. 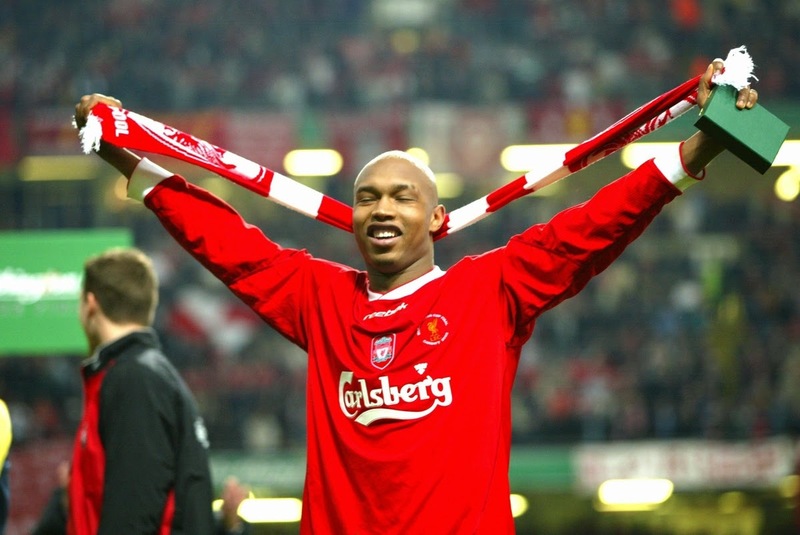 Diouf though was absolutely abysmal for Liverpool. Scoring only 3 times in 55 matches for the Merseyside club, spread over three seasons, it's not hard to see why Jamie Carragher later said, "He was always the last one to get picked in training." 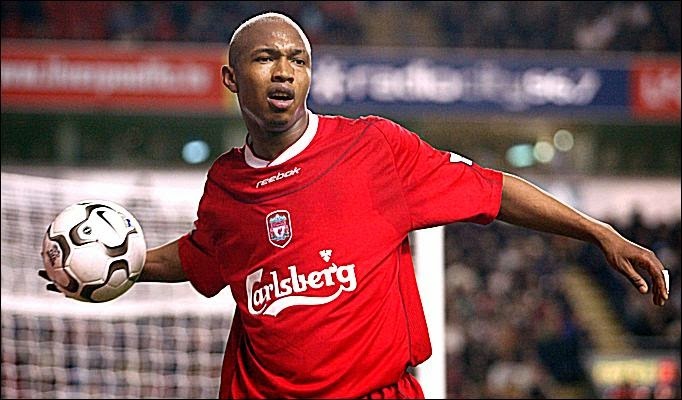 Diouf is better remembered for his bad behaviour rather than his football, including several incidents of spitting on other players and fans. Lovely fella, eh?